Aristocrat Buffalo™ slots need no further introduction. The original Buffalo slot machine is still one of the most popular games in landbased and online casinos. The sequels, Buffalo Stampede and the relatively new Buffalo Grand were also accepted with open arms. And now, Aristocrat Buffalo Brand is under attack. PlayAGS, a known game and cabinet developer which just recently went public on NYSE, decided to ride Buffalo success and launched their own slot machine , Buffalo Jackpots. As you can see on the video below, the resemblances to Aristocrat’s classic is quite visible. And we are being gentle here. Seems that Aristocrat felt the same way and now they filed a suit against AGS, LLC and PlayAGS in Nevada court against Trademark and Trade Dress Infringement. “We will aggressively protect our market-leading brands and intellectual property in every jurisdiction. Buffalo is an iconic game franchise and an enduring player favorite. With this suit, Aristocrat is defending the brand and standing up against trademark and trade dress infringement, consistent with the best interests of customers and our company” said Matt Wilson, Aristocrat’s Managing Director of the Americas. Would be interesting to see how it will end. 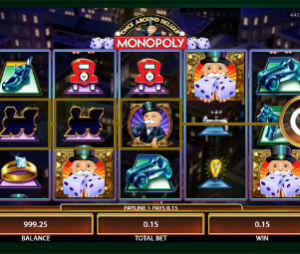 Meanwhile, you might give Buffalo Jackpots slot a try as it’s really not certain it will be available in the future.